STANDARD Bank became the first South African bank to expand into francophone territory when it announced last week it was opening a representative office in CÃ´te d'Ivoire. Standard Bank said it would officially open a representative office in Abidjan, CÃ´te d'Ivoire, in February 2014 and would use the office as a base to familiarise itself with the West Francophone Africa region. The move to open an office in CÃ´te d'Ivoire will extend Standard Bank's operations in Africa to 19 African countries. HervÃ© Boyer, the MD of the CÃ´te D'Ivoire representative office, said the strategy for Standard Bank was to follow its clients and the cocoa producing country would be a hub for the West African Economic and Monetary Union, which is made up of Benin, Burkina Fasso, Guinea-Bissau, CÃ´te d'Ivoire, Mali, Niger, Senegal and Togo. “We are following our clients and that is clear. After that we will determine what we will do,” Mr Boyer said on Tuesday. 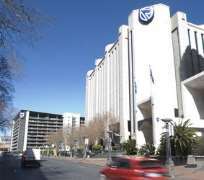 He could not say whether Standard Bank was looking to apply for a banking licence or acquire it from another bank. South African banks have preferred to expand into Anglophone countries due to similarities in law. “I don't think it's different from Standard Bank's approach to Angola. It's definitely a good idea to be expanding the franchise,” a Johannesburg-based analyst said. He said the accounting policies in Francophone countries may be different from those of Anglophone countries. But he said this did not mean that the risk of expanding to CÃ´te d'Ivoire was much more different from moving to Angola or Mozambique. “At the end of the day the expertise they bring is on resources and leveraging on resource finance,” the analyst said. CÃ´te d'Ivoire is the world's top exporter of cocoa and cashew nuts. It is also a net exporter of oil. Last year, CÃ´te d'Ivoire's gross domestic product grew 9.5%. Some of the international banks with a footprint in CÃ´te d'Ivoire include Standard Chartered Bank, SociÃ©tÃ© GÃ©nÃ©rale and Ecobank. Nedbank, one of South Africa's four major banks, is planning to use Ecobank for exposure to west and central Africa. In 2011 Standard Bank's return on equity in the rest of Africa, which is outside South Africa, was 8.4% in the full-year to end December 2011. In the 2012 financial year it improved to 10.8%.